The case of illicit tankers shipping oil to North Korea gets curiouser and curiouser. 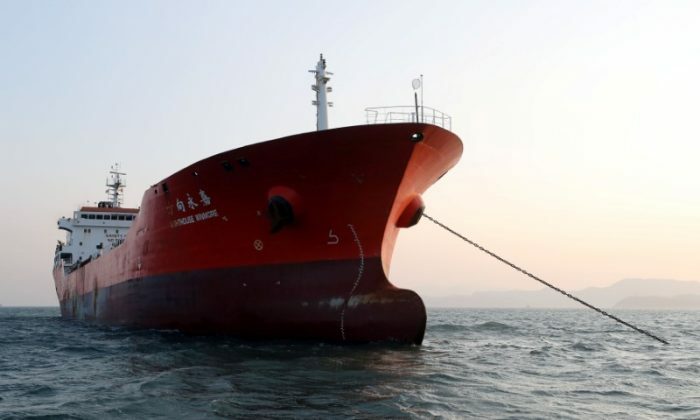 South Korea seized a Hong Kong-flagged ship, the Lighthouse Winmore, in late November, after suspecting it of transferring oil to North Korea. The ship’s registered manager, Lighthouse Ship Management, is located in the southern Chinese port city of Guangzhou. South Korean customs officials concluded that the ship had loaded about 14,000 tons of refined oil in South Korea on Oct. 11. It then transferred as much as 600 tons to the North Korea-flagged Sam Jong 2 on Oct. 19 in international waters between China and the Korean peninsula, on the order of its charterer, Billions Bunker Group Corp., according to a Reuters report published in December. 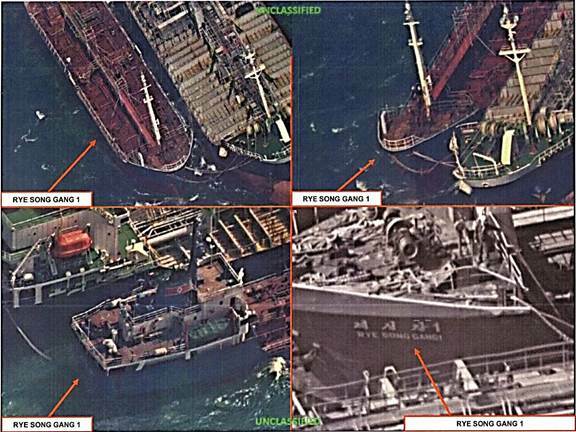 South Korean newspaper Chosun Ilbo cited South Korea government sources that said U.S. spy satellites had detected Chinese ships transferring oil to North Korean vessels about 30 times from October to December. A day before South Korea announced the news, U.S. President Donald Trump took to Twitter to reprimand China for smuggling oil into North Korea. The case has highlighted the difficulties in tracking ship ownership and determining the culprit behind smuggling operations. Billions Bunker, it turns out, is a company registered in Marshalls Island by a Taiwanese businessman named Chen Shih-hsien. In early January, Chen was summoned to court in Taiwan, and released after he paid a bail of 1.5 million Taiwan dollars (about $511,000). Prosecutors allege that he had leased Lighthouse Winmore to provide oil to North Korea, in violation of international sanctions. In addition, another ship that the United States accuses of smuggling, Billions 18, is owned by Bunker’s Taiwan Group Corp. That company is registered in the British Virgin Islands, and Chen is the sole shareholder, according to prosecutors in the Kaohsiung district, Taiwan. Taiwan’s Ministry of Justice has since frozen Chen’s and his Bunker companies’ accounts. After North Korea tested an array of intercontinental ballistic missiles this year, the United Nations Security Council has imposed sanctions to limit North Korea’s access to oil. But the United States said it has detected a number of vessels, including ones linked to China, that engaged in illicit trade with North Korea. China is the rogue regime’s largest trading partner and supplier of energy resources. The news of a Taiwanese businessman’s involvement has rocked local media. Who is this man and what is the connection, if any, to China? Chen comes from a long lineage in the fishing industry. He had engaged in ocean oil shipments for some time, according to Taiwanese newspaper The Liberty Times, citing the prosecutors’ investigation. His two oil tankers, Billions 18 and Billions 88, are registered in Panama and have a 5,000 ton capacity. During the prosecutors’ questioning, Chen said he did not know the ship Lighthouse Winmore was transferring to belonged to North Korea. He claimed that through a middleman, a Chinese businessman nicknamed “Zhang Zong” had inquired with him about purchasing oil. The Chinese side offered to buy oil for 15 to 20 dollars more per ton, so Chen agreed to the deal and had the ship meet in international waters. But it is unclear whether these Chinese businessmen were operating on their own or in collusion with the Chinese regime. The Chinese authorities have denied any knowledge of the case. On Jan. 19, Chen attempted suicide by swallowing sleeping pills, but survived. Upon exiting the hospital, he told the group of media that had convened outside: “I was framed by China,” according to Apple Daily, a Hong Kong-based newspaper with operations in Taiwan. He also said, “why would I do business with North Korea?” claiming his innocence. Ship tracking data in Thomson Reuters’ financial data terminal revealed that the Lighthouse Winmore had mainly been doing supply runs between China and Taiwan since August. Before that, it was active between India and the United Arab Emirates. In October, when it allegedly transferred oil to the North Korean ship, Lighthouse Winmore had its tracking transponder turned off.